ALEXANDRIA, Va. — New York City’s CLEAN Act, which licenses and sets standards for commercial and on-premises laundries (OPL) serving hotels, hospitals, restaurants and other businesses within the city, goes into effect Tuesday, Jan. 31. 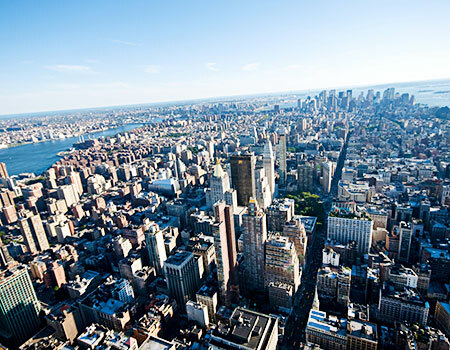 The Textile Rental Services Association (TRSA) says it has worked to inform city officials about actual practices, to prevent unnecessary burdens on commercial laundries operating within and serving customers in New York City. For example, rather than have the commissioner of the Department of Consumer Affairs (DCA) establish standards of cleanliness for linens, uniforms and other textiles, those standards will be based on TRSA’s Hygienically Clean certification, according to the association. Following earlier teleconferences and webinars, TRSA organized a meeting on January 11 of laundry operators and city officials at the Department of Consumer Affairs offices to discuss implementation. There are two licenses, one for laundries operating within New York City and a second for laundries delivering within the city, including those operating in the surrounding states. These licensing requirements apply to both commercial laundries and OPLs, including those in hotels, gyms and other businesses. All laundries are required to tag delivery trucks and thousands of laundry carts with a company’s license number. Laundries operating within the city are open to DCA inspection, while only the vehicles delivering from laundries processing outside the city may be inspected. The application process requires that all laundries certify legal compliance with safety and wage requirements for the jurisdiction in which they operate. TRSA expects the new licensing and regulations to impact more than 50 commercial laundries serving New York City and hundreds of smaller OPLs operated by hotels, gyms and other businesses.